Thanks for the heads up on these, were any other figures mentioned as well? Nope, these were all that were announced. 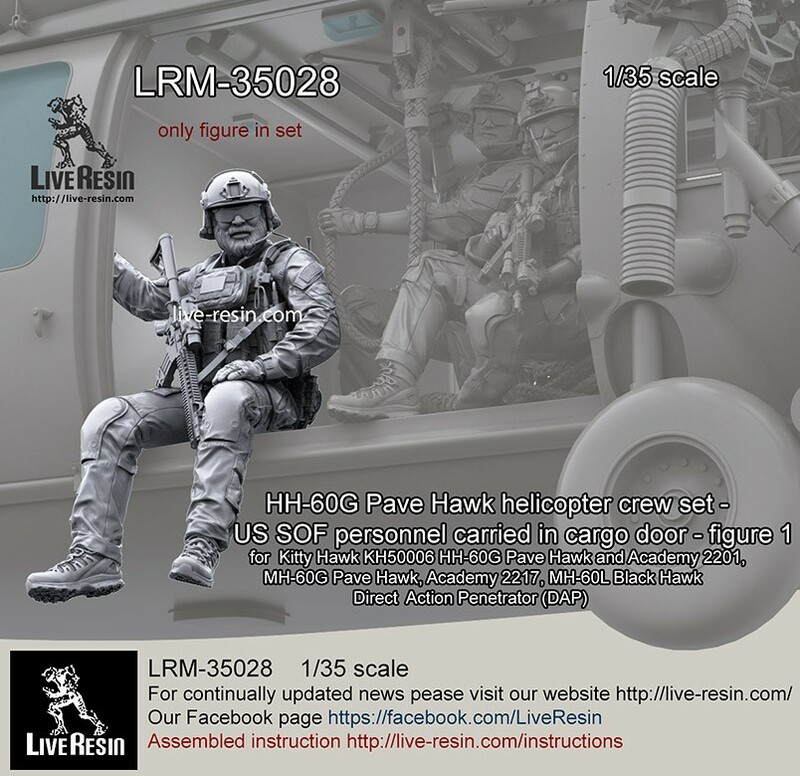 More pics of Live-Resin's upcoming HH-60G crew and GIBs. 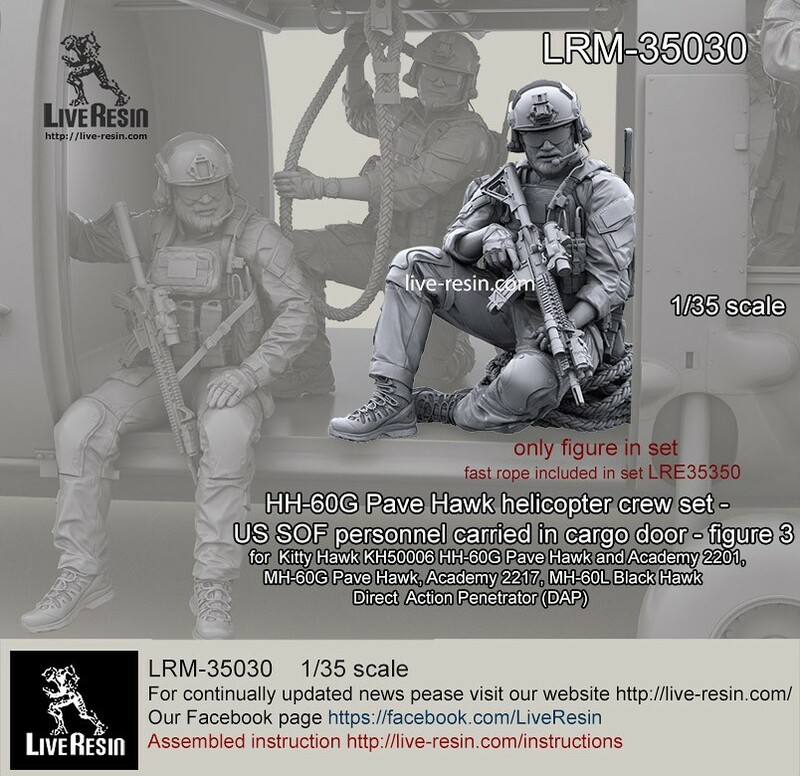 Live-Resin has its new modern helo crew figures available. 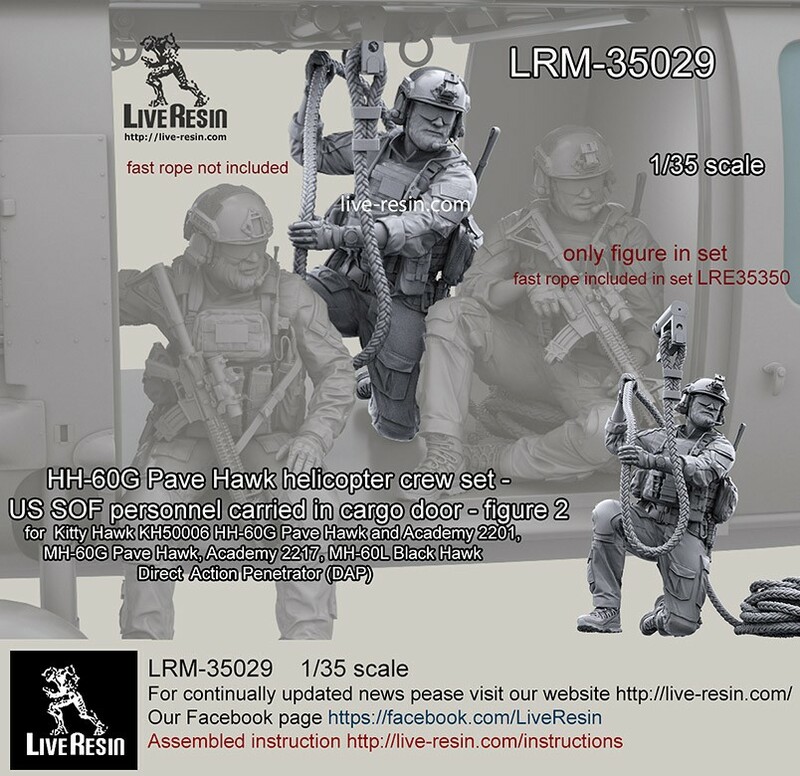 They include pilots, USAF door gunners, a USAF H-bar Fast Rope rig, and three PJs/SF Operators for the back. All the sets look awesome. The pilots are wearing AIR WARRIOR SYSTEM (PSGC) vests, HGU-56/P helmets, and contain cyclic and collective grips as well. The door gunners are wearing AIR WARRIOR SYSTEM (PSGC) vests and HGU-56/P helmets. 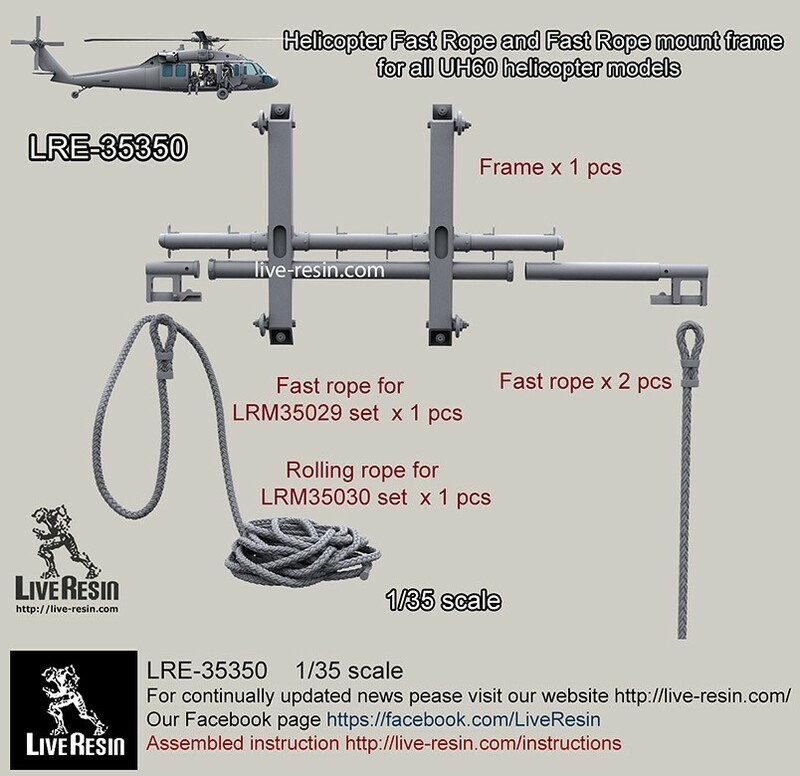 The H-bar fast rope set is an older USAF style used on MH/HH-60G Pave Hawks. It was replaced with the FRIES (Fast Rope Insertion/Extraction System, Army type) starting in the mid-2000's. All USAF HH-60Gs have the FRIES bar now. It is not appropriate for US Army MH-60Ls. The three PJs/SF Operators include two seated and one kneeling figure. 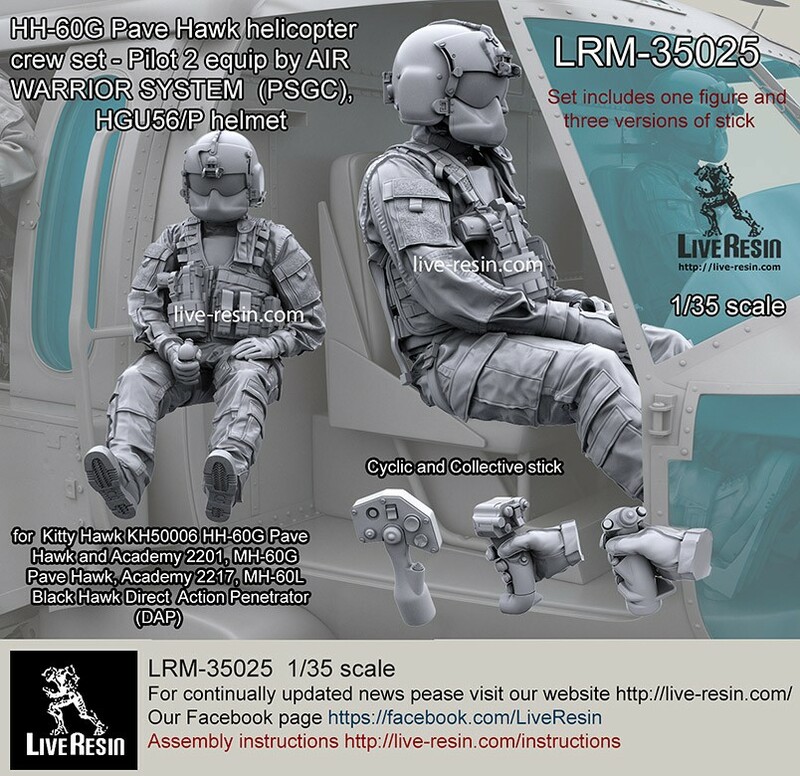 Looks like the forthcoming Kitty Hawk HH-60G will also come with a crew, PJs, and casualty. They look pretty nice. The M249 SAW is a little dated though. That version hasn't been used since the late '90s. An easy switch with a modern weapon. A door gunner too. Great ongoing summary of releases Gino. Thanks for the work. 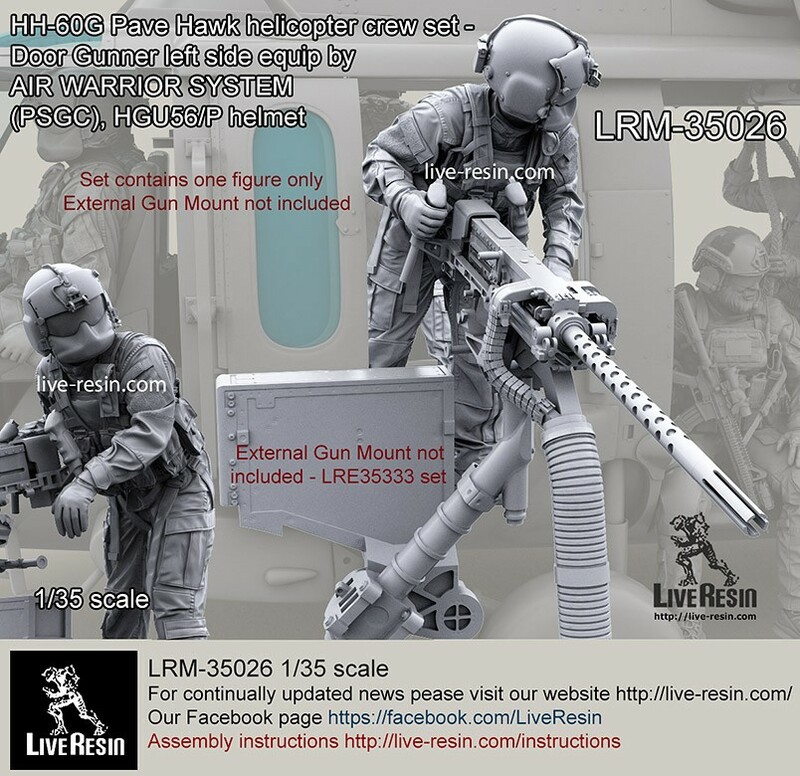 Reviews of the Live-Resin H-60 crew and SOF figures for the back. These are awesome figures. 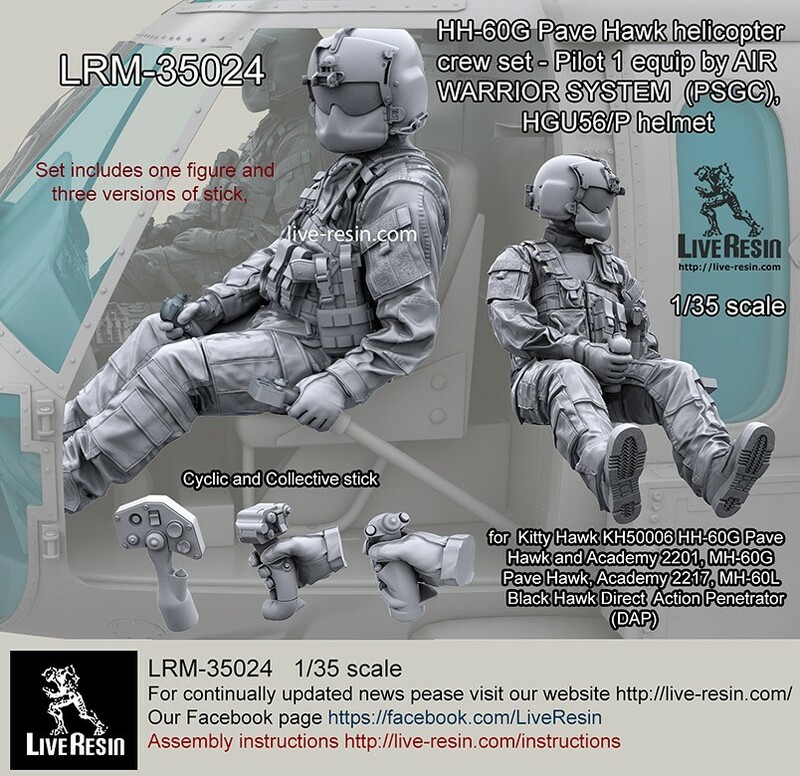 I highly recommend them and the other Live-Resin Helo crew and GIBs (Guys In Back) sets. 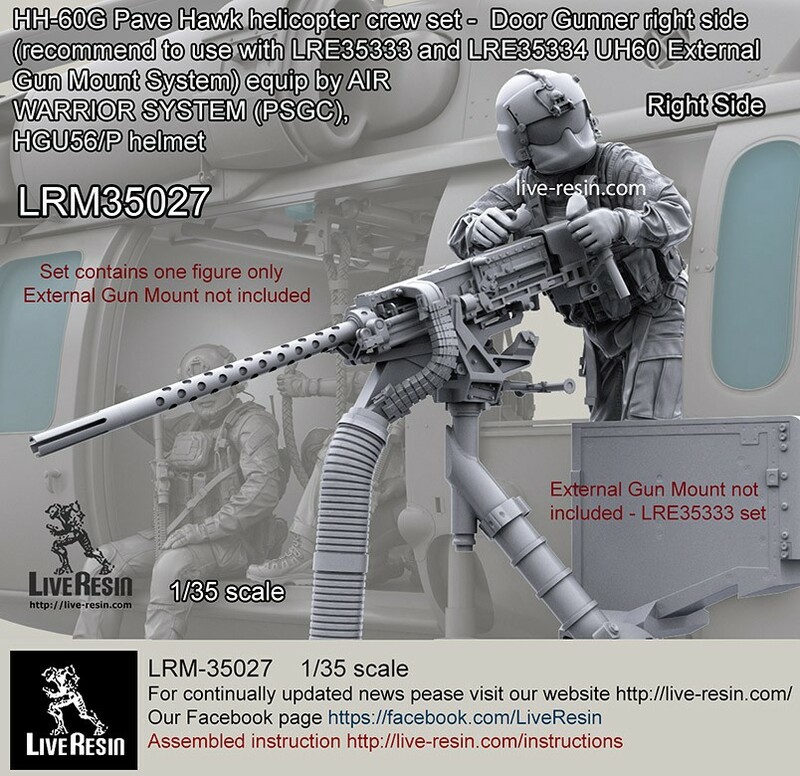 Def Model has a few Modern USMC pilot sets coming. They are two standing pilots and two seated for the academy AH-1Z Viper. Gino, thank you for keeping this thread updated. This latest news is just what I've been waiting for, a set of seated crew for my Viper. Would you know or could you recommend a set of seated crew for a Whiskey NTS Cobra? Unfortunately, there are none that are accurate for seated USMC pilots. The issue is the helmet. USN and USMC helo pilots use the HGU-84/P helmet. 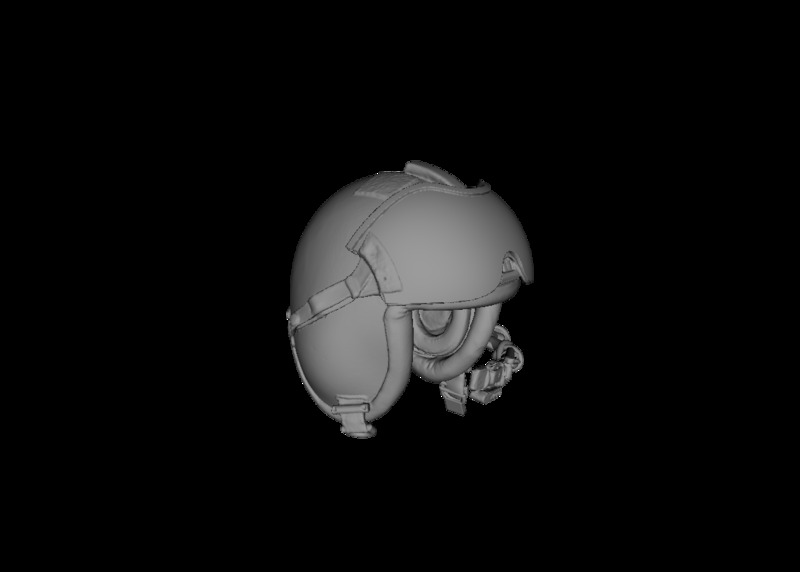 The standing USN/USMC pilots by Reedoak have this helmet, but no seated figures. They also do two separate helmets; w/and w/o visor cover. If you take the helmet from the Reedoak figures and place them on a seated figure, you will be good. Removed by original poster on 04/25/19 - 14:56:48 (GMT).